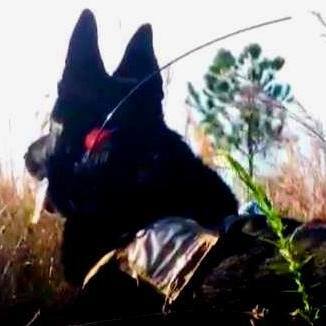 The K-9 Corps - Peace River K9 Search and Rescue, Inc.
All K9 Teams Pass an Exhaustive In House Evaluation and Outside Agency Certifications. This team responds to persons lost in the wilderness and are used to quickly locate the victim or clear a specified area. All team members have First Aid/CPR training as well as Pet First Aid . These team members are highly trained in Land Navigation utilizing GPS, Map and Compass as well as FEMA ICS/NIMMS command structure training. All Area Search teams are trained to FEMA 508-8 Type 1 2005 guidelines, ASTM F1847-14 standards, pass a rigorous PRSAR Team evaluation. They must also meet the Physical fitness standards, moderate level, NWCG PMS 307 (now 310) and pass certification by NAPWDA for the SAR 60 Acre Area Search Test. 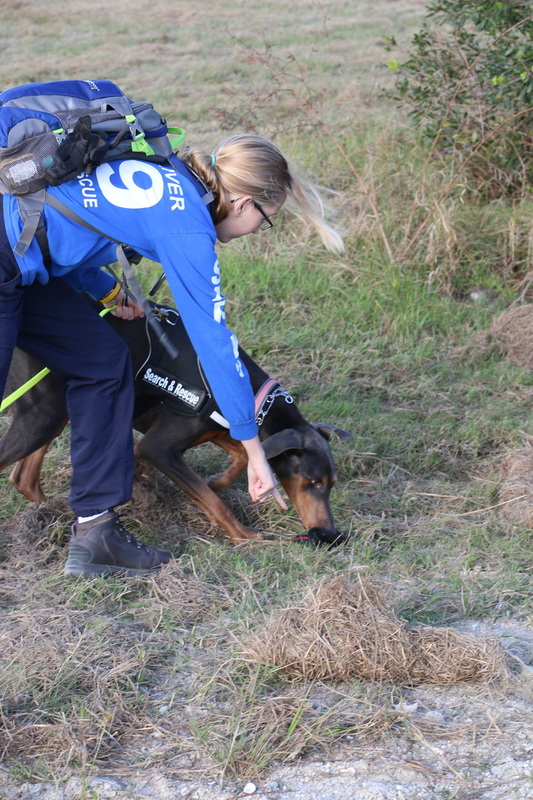 PRSAR Tracking teams can work as either scent specific or Human Odor Trackers (HOT) on aged tracks up to 48 hours with a high success rate. 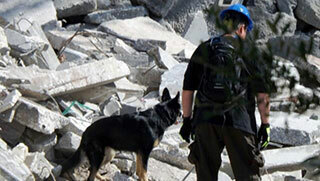 These K9 Teams are trained to meet FEMA 508 Type 1 standards and pass an exhaustive In House Evaluation. The training program is component based and teams train continuously to keep their skills sharp. PRSAR has 3 Levels of Tracking training broken out into Wilderness, Suburban and Urban trailing skills. All Handlers pass the Physical Fitness Standards, moderate level, NWCG PMS 307 (now 310) and are certified through NAPWDA. These highly trained volunteer professionals maintain their skills on a constant basis. The dogs are continually worked on different size and age of sources to give them the widest scent range to experience to keep threshold problems from developing. All team members are Certified through NAPWDA and have taken a crime scene preservation class, Blood born pathogens and have high levels of training on both land and water, evidence discovery and recovery procedures. The team is available for out of country, military and historical deployments on a contractual basis. All Cadaver team members have to pass Level 2 background check. 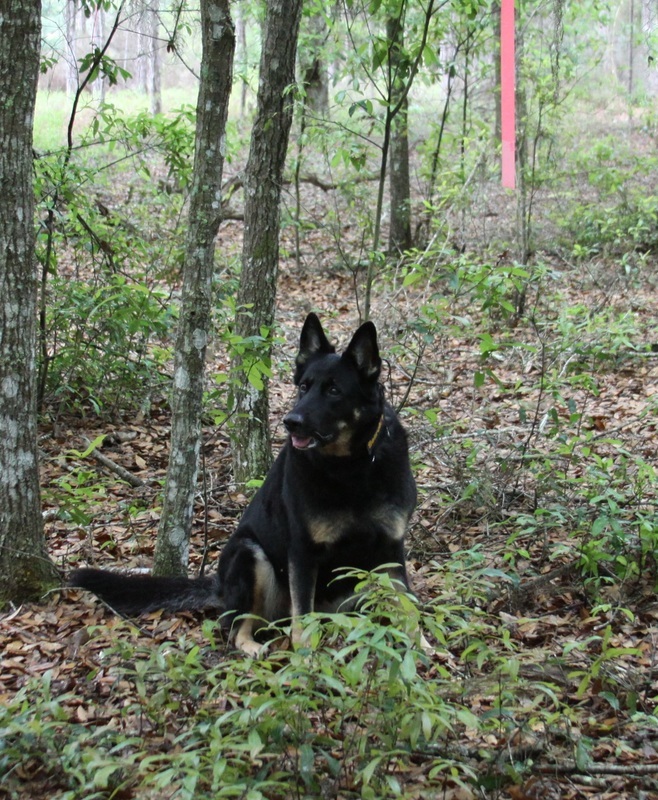 For more information on Cadaver Dogs click here! ALL PRSAR Teams will have their Credentials, Task Books (PTB), Team ID and Certifications available for inspection by the proper Authority in Charge (AIC) or Authority Having Jurisdiction (AHJ) when asked to present credentials. Digital copies of training files are available upon request from the proper authorities. PRSAR K916 Gus on the track!